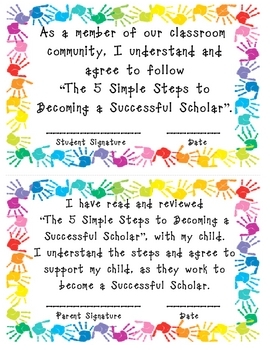 Successful In 5...4...3...2...1, Becoming a Successful Scholar in 5 Simple Steps, is a key management tool that when effectively implemented, guides elementary aged students toward academic and behavioral success. 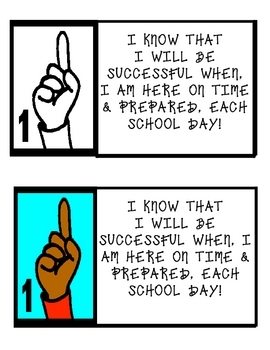 These steps explain basic study and life skills in kid friendly, easy to relate to language. The 5 Simple Steps allow students to not only get the big picture, but also provide them with an easy way to remember them (5...4...3...2...1). Students are able to understand and act on these steps, allowing them to see that success is attainable and sustainable. The goal is to create habits that students can carry on for years to come. 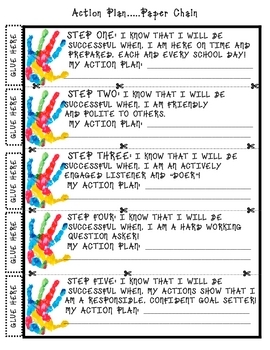 This product is similar to The 12 Steps to Becoming a Successful Scholar, however it has been simplified for younger students, with a more hands on, fun approach. -A breakdown of the steps, each on their own page in both color and black & white. 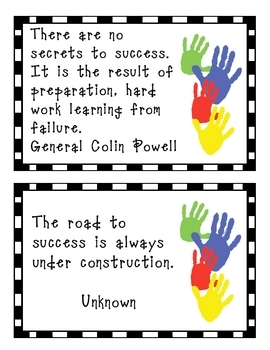 These are ready to print for bulletin board or student use. -Several handprint and Success in 5...4...3...2...1 graphics pages.